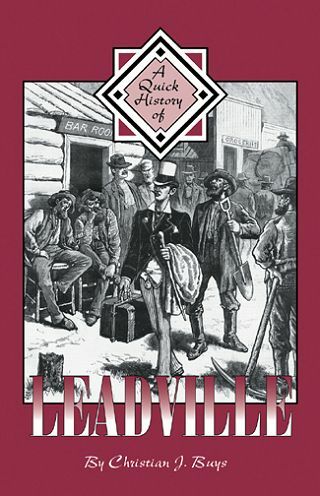 A Quick HIstory of Leadville chronicles the fascinating history of Leadville, Colorado--the boomtown of Colorado's boomtowns--from the 1860s to the present. Every page brings to life those former days: the arrival of the first prospectors, the booming mining era, the near mythical saga of the Tabors, the silver crash, the Crystal Carnival and its magnificent ice palace, the anarchy caused by miners' strikes, the rise and fall of the railroads, Camp Hale and its famous 10th Mountain Division, the Climax Mine's rise and demise, the Environmental Protection Agency's cleanup efforts, and more--much more. Christian J. Buys has been intrigued by Leadville's unique history since he first visited the picturesque mountain town in 1966.